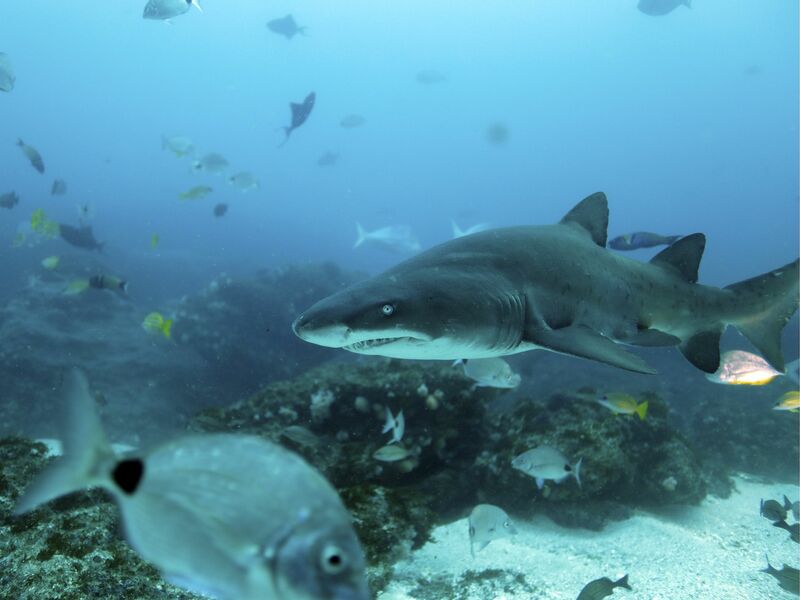 Fakarava: Are there leaders among the grey shark population? 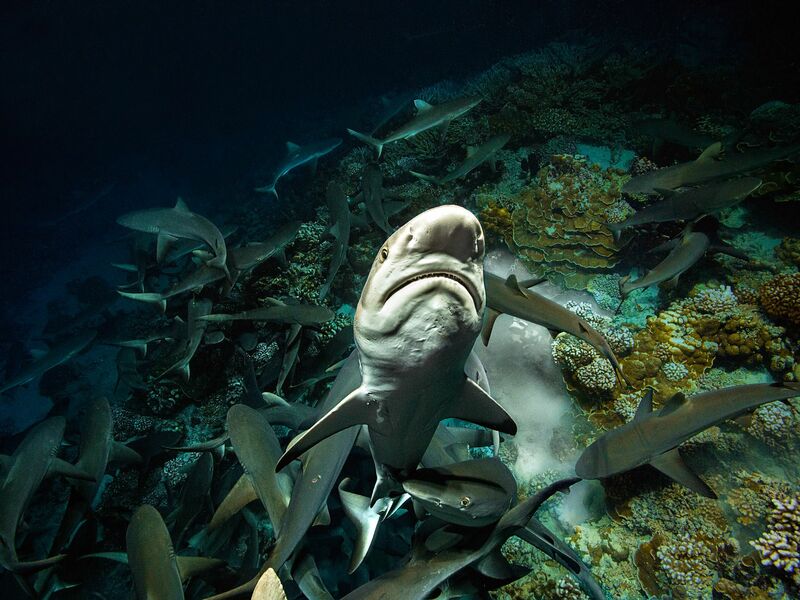 This image is from 700 Sharks. 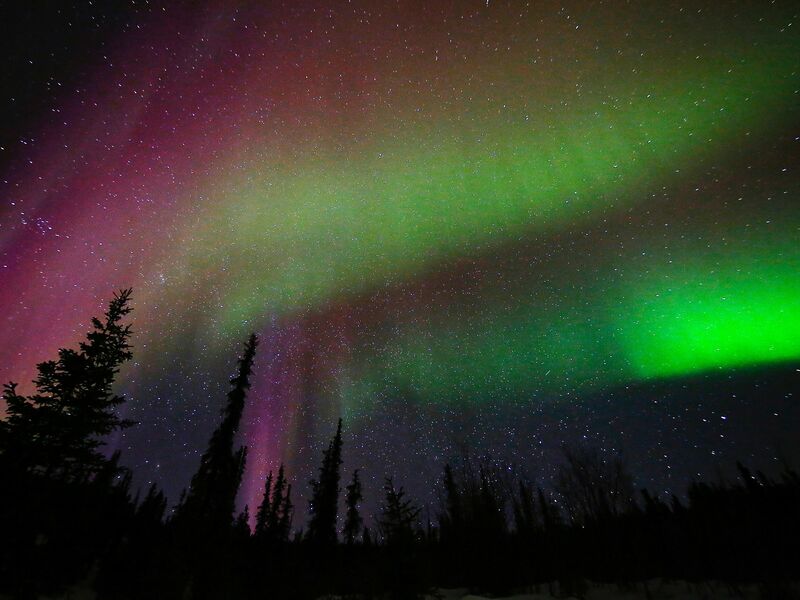 Arctic National Park: The flickering Aurora Borealis is a magic and unforgettable moment. 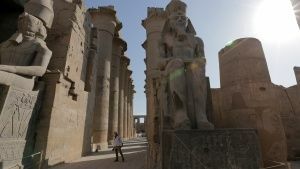 This image is from America's National Parks. 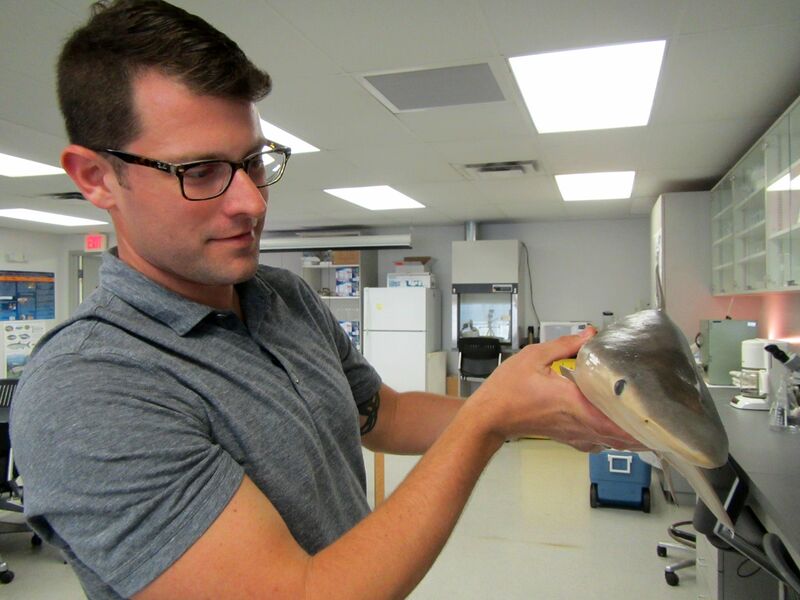 TAMPA, Fla.: Dr. Dan Huber showing a dogfish shark at the Tampa University Shark Lab in Tampa, Florida. This image is from When Sharks Attack: Anatomy of a Shark Attack. 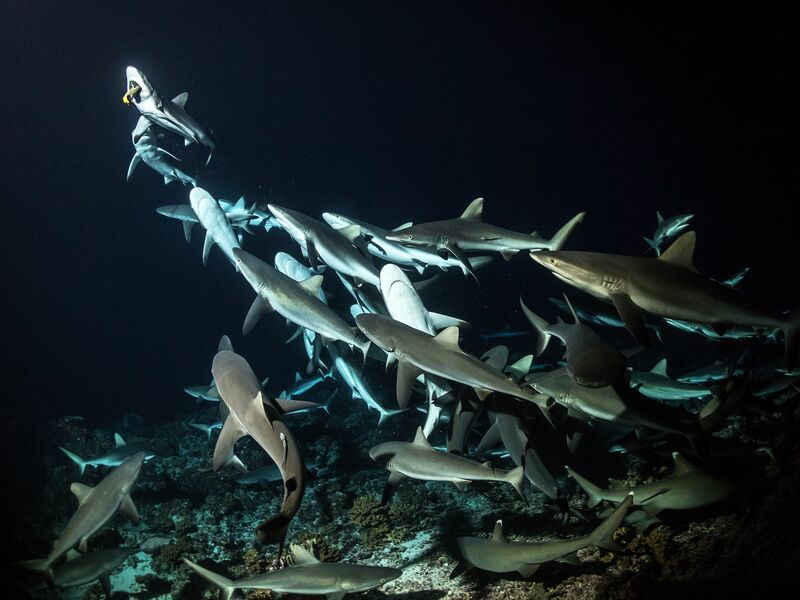 Fakarava: 700 sharks were identified in the south pass of Fakarava. This image is from 700 Sharks. 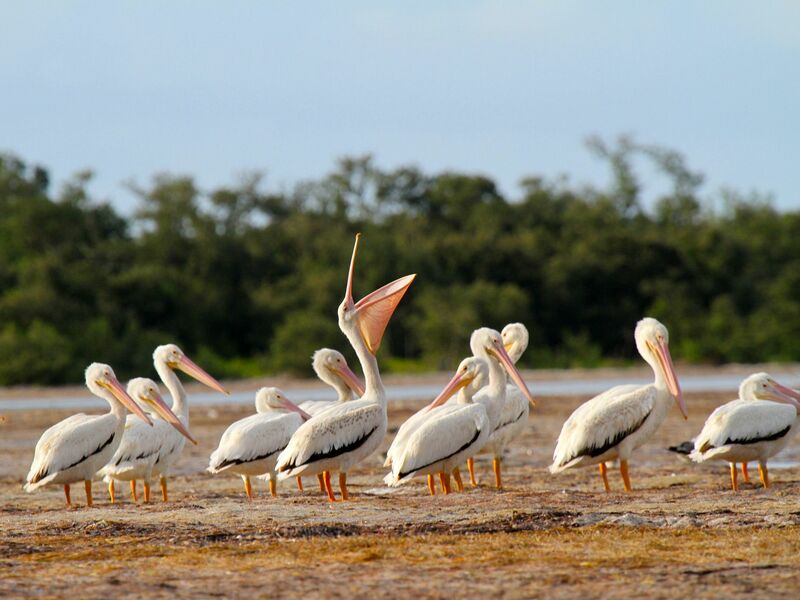 Everglades National Park: The Everglades are rich fishing grounds for the white pelican. This image is from America's National Parks. Aliwal Shoal, South Africa: A Ragged-tooth shark (Carcharhinus taurus) cruising in South African waters above a rocky, coral-covered sea-bottom, amongst various schooling fish including Bluestripe snapper (Lutjanus kasmira) and surgeonfish species (Acanthuridae spp.). 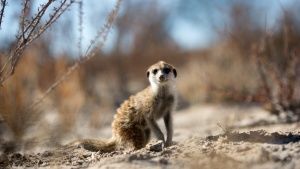 The Ragged-tooth's needle-like, protruding teeth help it grab and hold onto prey. This image is from Big Sharks Rule. 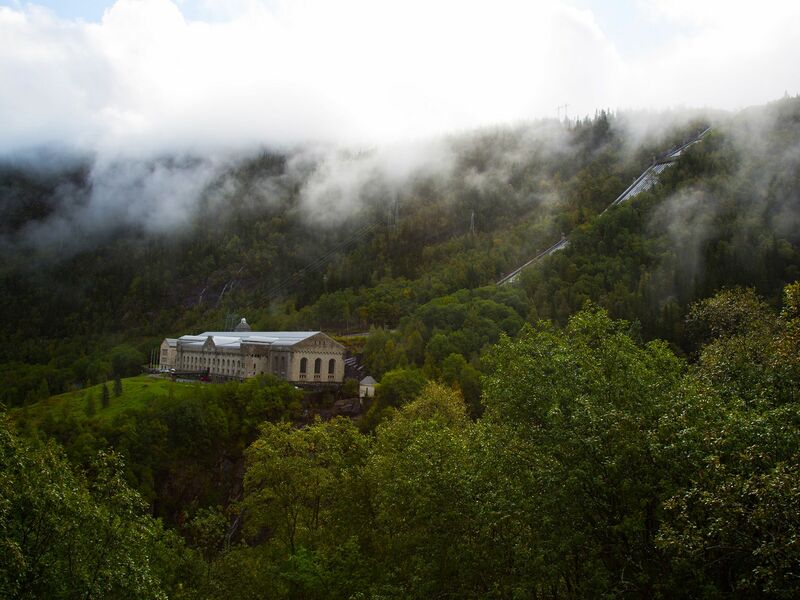 Telemark, Norway: A shot of Vemork in the Mist. The former power plant is now a museum. In WW2 heavy water was produced here and sent off to Germany. Until the Allies took action. This image is from Drain the Oceans. Fakarava: You will never see sharks again in the same way. This image is from 700 Sharks. 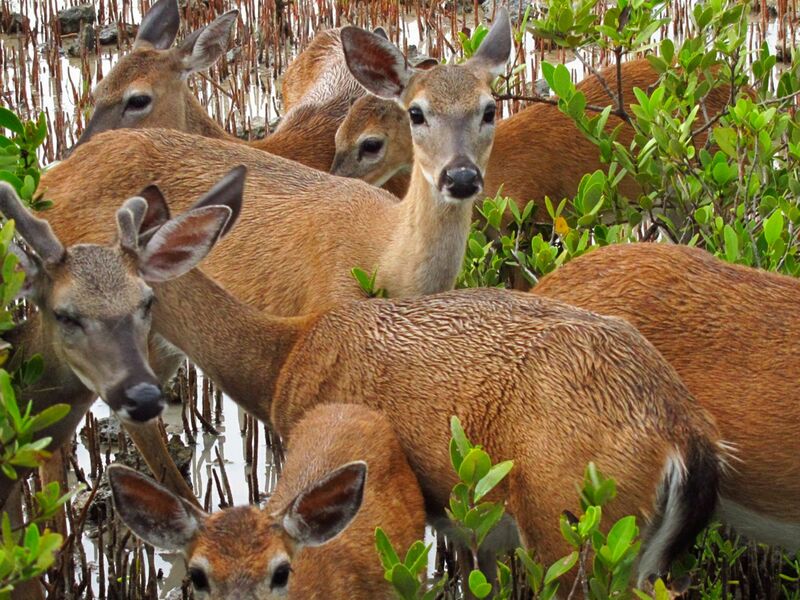 Everglades National Park: A herd of key deer - the smallest of all North American deer only lives in Florida. This image is from America's National Parks. 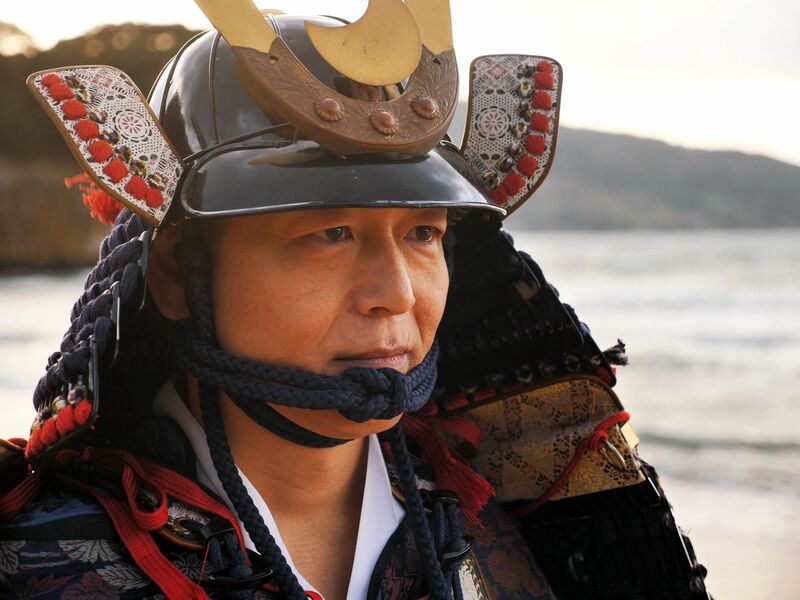 Japan: Dressed as a Japanese warrior, this actor re-enacts the 1281 invasion of the Mongol Fleet on the coast of Southern Japan. This image is from Drain the Oceans. 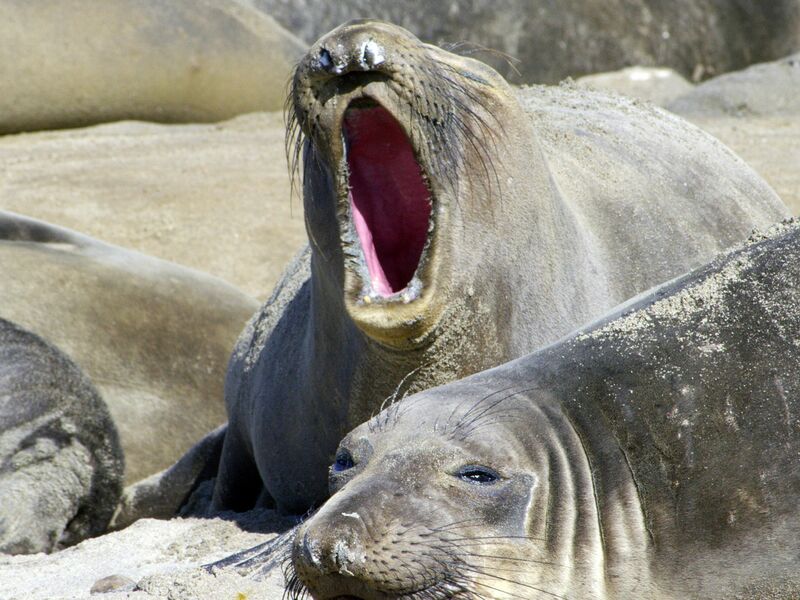 Big Sur, CA: An Elephant Seal yawning while on the beach. This image is from America the Beautiful: Mighty Northwest. 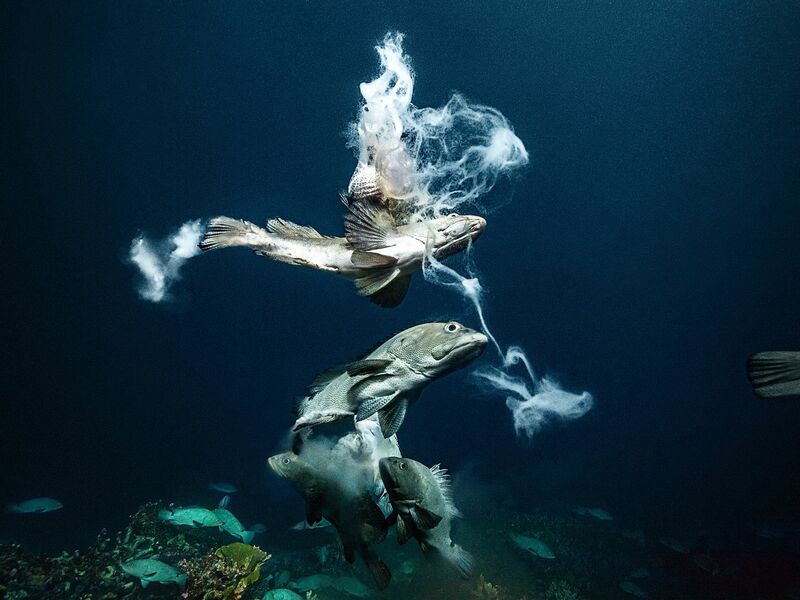 Fakarava: At the full moon of June, the grouper mate in a fairy like ballet. 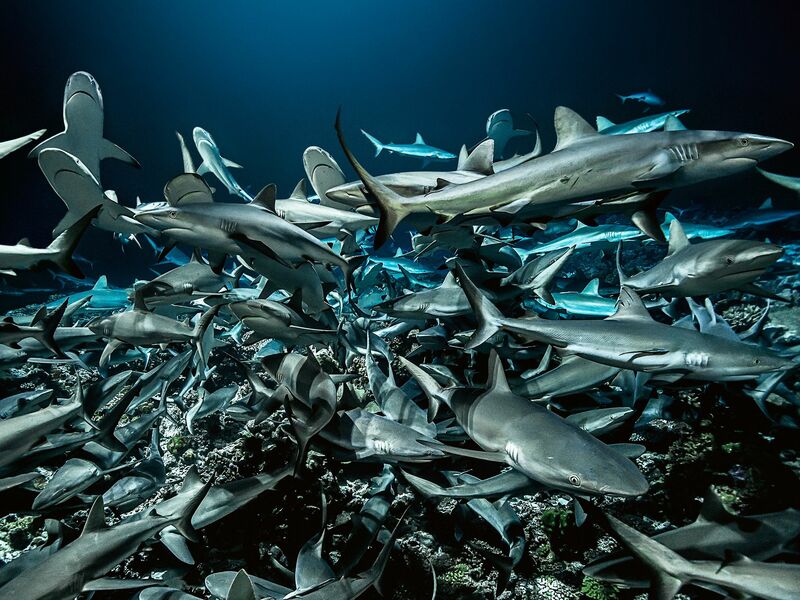 This image is from 700 Sharks.